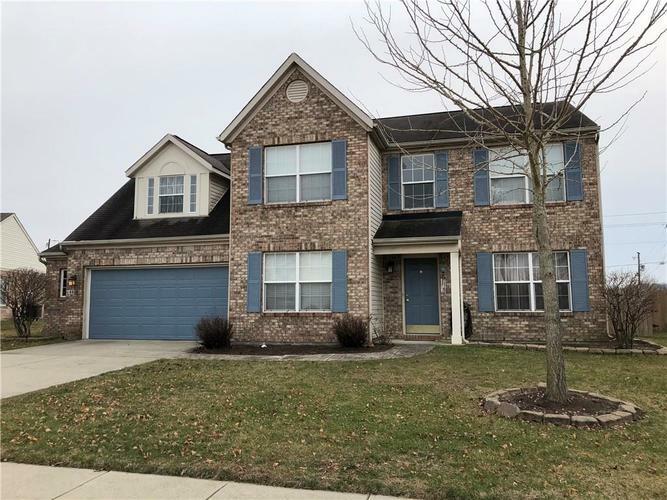 Super sweet 2 story in popular Spring Lake in Franklin Township has all the bells and whistles you want! Beautiful 2 story Foyer welcomes you with an open floorplan. Office and Formal Dining Rm gives you the extra space you need. Great Room opens to Kitchen with Breakfast Nook and Pantry and gorgeous granite countertops and island. Large Master Suite features His and Hers Closets and stand-up shower. Huge Bonus Room can easily be 4th Bedroom. Outdoor open Patio has large concrete slab, perfect for entertain in your large, fenced-in backyard. Complete brick exterior around the first floor is energy-efficient. Close to great schools, places of worship, shopping and recreation. Must see! Directions:From Five Points and Thompson, go west on Thompson. Right on Lakesedge Blvd into Spring Lake subdivision. Right on Lakesedge Dr to home on right.